Type I Bartter syndrome (BS), an inherited salt-losing tubulopathy, is caused by mutations of the SLC12A1 gene. While several intronic nucleotide changes in this gene have been detected, transcriptional analysis had not been conducted because mRNA analysis is possible only when renal biopsy specimens can be obtained or occasionally when mRNA is expressed in the leukocytes. 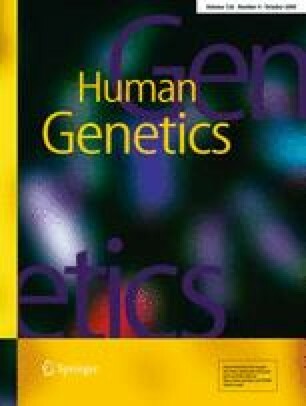 This report concerns a type I BS patient due to compound heterozygosity for the SLC12A1 gene. Genomic DNA sequencing disclosed the presence of two novel heterozygous mutations of c.724 + 4A > G in intron 5 and c.2095delG in intron 16, but it remains to be determined whether the former would be likely to influence the transcription. In this report, we conducted both in vivo assay of RT-PCR analysis using RNA extracted from the proband’s urinary sediments and in vitro functional splicing study by minigene construction, and obtained evidence that this intronic mutation leads to complete exon 5 skipping. To the best of our knowledge, this is the first study to use non-invasive methods for both an in vivo assay and an in vitro functional splicing assay of inherited kidney disease. These analytical assays could be adapted for all inherited kidney diseases. This work is supported by A Grant in Aid for Young Scientists (B-19790720) (to K. N.) from the Japan Society for the Promotion of Science.